China's GDP has long been criticised for either over- or under-estimating growth, or for smoothing out the fluctuations in real economic activities. China over-reported its economic growth between 2008 and 2016 by an average of 1.7 percentage points, according to a recent study by researchers at the Chinese University of Hong Kong and the University of Chicago. The discrepancy came from local governments who are rewarded for meeting growth and investment targets, the authors say in a draft paper published by the Brookings Institution. 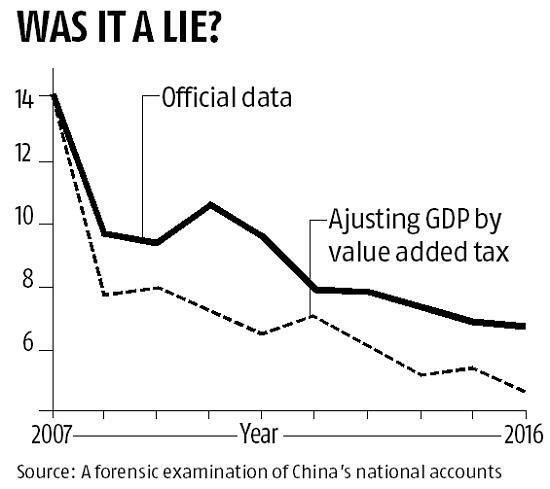 The Beijing-based National Bureau of Statistics, knowing such manipulation well, has been adjusting the local numbers but hasn’t done so sufficiently since 2008, authors Wei Chen, Xilu Chen, Chang-Tai Hsieh and Zheng Song wrote. “The revised numbers “indicate that the slowdown in Chinese growth since 2008 is more severe than suggested by the official statistics,” they wrote. China’s NBS didn’t immediately respond to a request for comment. China’s GDP has long been criticised for either over- or under-estimating growth, or for smoothing out the fluctuations in real economic activities. Local authorities, eager to achieve economic growth goals so as to improve their own chances of promotion, used to report regional GDP figures that when summed would be more than 10 per cent larger than the official national figure. In recent years, the national authority has cracked down on fudging statistics by collecting data directly from firms, naming and shaming officials as well as setting up a specific inspection arm. The head of the statistics bureau claimed last year that the problems were all in the past, and from 2019, it will start to compute GDP for the 31 domestic regions. 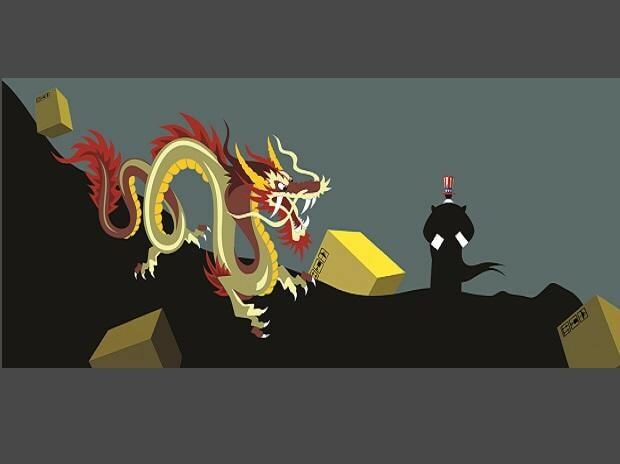 Tom Orlik, chief economist for Bloomberg Economics and author of “Understanding China’s Economic Indicators” says he is “cautious” about the paper’s conclusions. The NBS has made “determined efforts” to squeeze out the impact of local exaggeration since the 1990s, and the argument that local officials have overstated investment is hard to square with the well-known narrative that China’s capital spending rose too much, he wrote. The authors base their estimate of the “true” rate of GDP on tax revenue, but that may have reflected a larger services sector, and should not be taken as more accurate than other official indicators, according to Orlik.